Is your computer slow to start-up or struggling with tasks? Installing more computer memory can help to speed up computer performance instantly – and it’s easy to install too. PCs, laptops and Macs need memory for storage and to handle all the tasks we ask them to perform. When out computer’s start to run out of RAM that’s when things start to slow down. Installing more computer memory, also known as Random Access Memory or RAM, is really straightforward and cost-effective, and can save you having to buy a whole new machine. Today’s operating systems, apps and software can be demanding, but with extra desktop memory or laptop memory installed you’ll notice performance improvements right away. Computer memory sticks are easy to slot into your computer and are available in a range of capacities, from 1GB to 8GB. 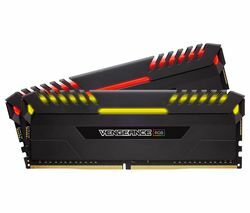 For optimum performance, you need to install two parallel RAM sticks of the same brand and specification side by side. 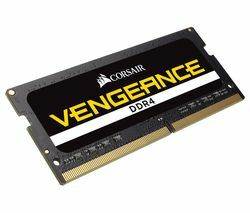 You can also choose from two types of laptop and PC memory – DDR2 and DDR3. The difference between them is speed - DDR2's frequencies span 400MHz to 800MHz, while DDR3 is faster, spanning 800MHz to 1,600MHz. For a simple, cost-effective way to boost your computer’s start-up speed and multitasking abilities, added computer memory is an ideal solution.